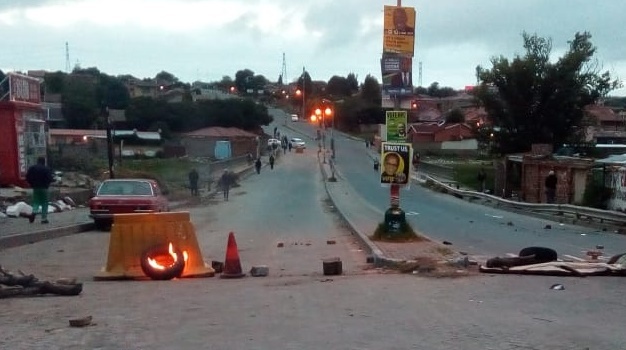 It remains unclear whether protests planned by residents of Alexandra would go ahead on Monday morning as heavy rains continue to pour down in Johannesburg. JMPD spokesperson Wayne Minnaar said on Monday morning that the metro police and SAPS remained on standby. "[The protesters] said they wanted to go to the offices of the regional director which is in the Sandton area, so Grayston Drive is likely to be affected," Minnaar said in an interview on eNCA. "We got an undertaking from the organisers that it would be peaceful. We are calling on motorists to cooperate as our officers assist the marchers and on the people participating in the protest to adhere to the requests from the organisers. I'm sure everything will go down well," Minnaar told eNCA. In a statement on Sunday evening, Gauteng Police Commissioner General Elias Mawela said he was confident the march would be peaceful. Police spokesperson Colonel Lungelo Dlamini said that Gauteng law enforcement agencies would be deployed in the area and the participants and general members of the community were called on to co-operate and work with the police. "The Johannesburg Metro Police will also coordinate all the traffic routes and motorists are called upon to be patient should there be are any delays," said Dlamini.